It might almost seem counterintuitive to suggest that if you want to get more done you should actually sleep more. Generally when people try to achieve more they put more hours of work into the day and sleep less and less. However, lack of sleep reduces performance, memory and learning. It has been known for some time that sleep enhances memory and learning but the mechanism was never quite understood. But recent research seems to have identified the process. 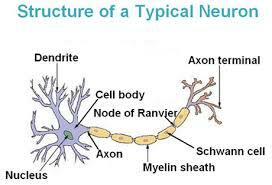 When you learn something new tiny spikes form on the dendrites (the tree like structures along which signals travel in the brain), almost like a new shoot on a plant. During deep sleep these spikes are reactivated which appears to strengthen them. If this process is disrupted by lack of sleep, the formation of these new branches is prevented. This might also explain why learning can be such an exhausting experience, perhaps the moral here is when you learn something new – sleep on it! Perhaps you are aware that , while you are asleep, many of the body’s processes slow down so that it can direct its energy to repairing and healing damage and injury but are you also aware that during sleep the brain washes itself? While you are awake the ongoing processes in the brain start to build up a sticky plaque which is made up of general detritus such as dead cells and certain proteins. These proteins can accumulate as plaques on the brain and are linked to Alzheimers. However, during sleep the space between the neurons (brain cells) expands allowing cerebrospinal fluid to flush out this detritus. The ideal amount of sleep you need each night is 7-9 hours. So don’t be persuaded that you can sleep 4 or 5 hours a night without any ill effects or that you can adapt to a pattern of only sleeping a few hours. This idea was famously espoused by Prime Minister Margaret Thatcher but you only have to view her career over the years to see how this chronic lack of sleep began to affect her – not least in the form of the Alzheimers that hit her in her later years! This is also the reason that you think clearer and make better decisions earlier in the day, when your brain is at its cleanest and probably explains what psychologists describe as decision fatigue. Steve Jobs famously wore the same roll-neck shirt and jacket every day to cut down that extraneous decision of what to wear because decision fatigue suggests that the more decisions you have to make in a day the poorer the decisions you make. So, can you catch up on lost sleep? Research is showing that, in the short term, you can catch up on the odd night of lost sleep; sleeping 10 hours the next night seems to restore your cognitive abilities. Chronic lack of sleep, though, has a cumulative, damaging, effect on your brain and, as such on your concentration, memory and learning. Improving learning and memory, washing your brain and repairing your body – it might seem that that’s enough to be doing whilst you are asleep but the brain has another trick to make sleep some of the best use of your time. The brain has this little quirk that, when you ask it to find a solution to something, it continues to work on that until it has found an answer. It’s a bit like setting a programme to update on your computer, it does it while you’re working on something else and continues when it is in standby mode. Think of sleep as a little like standby mode, set it a task to perform which can be anything from finding something you’ve put somewhere to figuring out the next steps of a project to preparing for a meeting or exam. While you sleep the brain will continue to work on the solution which sometimes comes to you in the form of dreams and sometimes in a moment of inspiration when you are awake again.